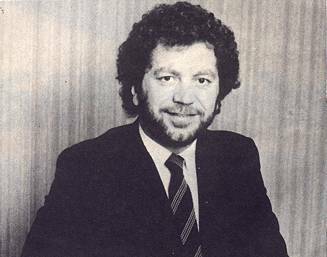 Sir Alan Sugar, more famous for his show “The Apprentice” than his electronics company Amstrad, today (10 Oct) bought a 4% (3.88% to be exact) stake in the high street retailer Woolworths for £1.8 million. There have been fears recently that Woolworths could become yet another victim of the credit crunch. It reported a half-yearly loss of £100 million and its share price dropped by about 80%. Sir Alan made his fortune from Amstrad which he founded in 1968. Amstrad is famous for its low priced home computers launched in 1984 which took on Commodore and Sinclair who were the existing players in the market. It has also made set top boxes for BSkyB’s Sky TV and also the Sky+ set top box. In 2007, Amstrad was bought by BSkyB and is now a 100% subsidary of BSkyB plc. The credit crunch has allowed many investors to buy shares in well known companies at a very cheap rate, standing to make a huge profit when the markets recover and the share prices begin to rise. The world’s richest man and the “Sage of Omaha”, Warren Buffet, recenlty invested $5 billion in the troubled bank Goldman Sachs through his investment company Berkshire Hathaway by buying preference shares which will give him a 10% of return each year in the form of dividends. He also bought $3 billion worth of preference shares in General Electric. No wonder shares in Berkshire Hathaway are worth around $100,000 (each).